Notes from The virtues and faults of the Latin Christians by Tia Kolbaba (2012), (Edited by Paul Stephenson) in The Byzantine World. 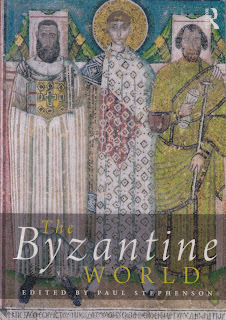 Western Europe was accurately perceived by the Byzantines as being composed of many ethic groups, ethne (Kolbaba 114 : 2012), and the general attitude of the Byzantines to the western ethne changed over time. In late Byzantine society a perception of “the west” as an tyrannical enemy may have formed, with the phrase “Better the Turk than the Pope” (Brownsworth 2012) during the Palaiologian period (1204 -1453). During the early period (600 -843 AD) Orthodox monks took shelter in Rome during the revival of iconoclasms in 815 and when Orthodoxy was reintroduced in 843 many expressed admiration for St Peter and a commitment to ecumenical canons and imperial laws that indicated Rome as the first of the patriarchates. Greek churches in Italy provided Greek leaders who worked to keep Latin and Greek churches together during the middle period (843 -1050), they functioned as flexible moderate middlemen between the two patriarchial sees (Kobaba 121 : 2012). The issue of the Latin churches using unleavened bread (azyma) in the Eucharist, while the Greek churches used yeast in bread that rises (enzyme) was in part because non Chalcedonian Armenians using unleavened bread that was a symbol for the one nature of Jesus Christ and attachment to Judaic rites, and this argument was extended to the Latin churches as well. During the later stages growing contact with Latins in Byzantine service lead to an increasing awareness of differences in ritual and doctrine. There were a number of different responses, some like John of Antioch (1101) thought differences in the azymes, Filioque and other Latin variations were insignificant and his actions speak to a commitment to coexistence (Kolbaba 124 : 2012). The success of the reformed papacy and its claims to plenitude potestatis provoked resistance and criticism. Byzantine criticism of fundamental developments in Latin theology included the meaning of John 14:28, “The Father is greater than I (the son)”. The Byzantine emperor Manual I (1143 -1180) adopted the Latin meaning and forced it on the Greek Church. There were different philosophical traditions and some of the issues the Latins were discussing the Greeks were unaware of and were brought to their attention by diplomats, subsequently they became embroiled in the theological controversies of the Latin world in the twelfth century (Kolbaba 126 : 2012). After the sack of Constantinople in 1204 by the fourth Crusade, theological speculation using Latin philosophical innovations and attention to the theological issues the Latins discussed was subsumed by political motivations and sometimes violent resistance. As a rule the moderate middlemen were silenced. At the Second Council of Lyons (1274) Greeks who spent too much time with Latins were suspected of heresy, those who though the differences were inconsequential were either exiled or converted to Latin Christianity (Kolbab 127 : 2012). When imperial envoys returned to Constantinople from the Second Council of Lyons, following the news that they had agreed to a church union they were greeted with the cries “You have become Franks!” (Kolbaba 127 : 2012). The violence following the Fourth Crusade and the Latin papacies attempts to realise its plenitude of power, penitude potestatis had decisively created an irreparable schism (Kolbaba 127 : 2012). Brownsworth, Lars. (December 2009). 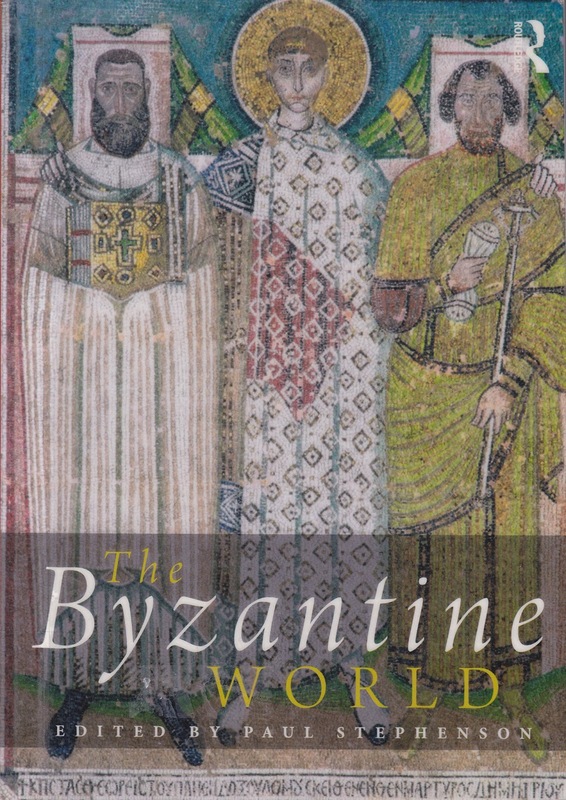 Lars Brownworth - Smithsonian Institute - Byzantium. @ http://www.youtube.com/watch?v=LQ4ilVj1xLE. Approx 70 minutes long. Uploaded May 2011. Last viewed 10-7-2013. Kolbaba, Tia. (2012). The virtues and faults of the Latin Chrisitans. (Edited by Paul Stephenson). From The Byzantine World. Published by Routledge. Pages 114 -127.